Located on the Adriatic coast, Split is Croatia's second largest city and an important port. 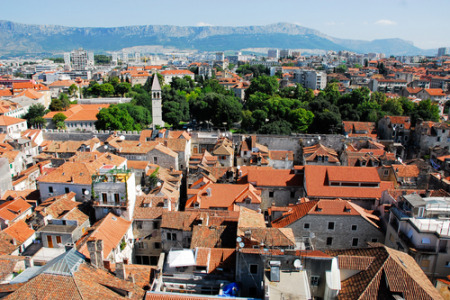 Split holidays are popular as city breaks as there is much to see and do in this historic town. It is also a great base for exploring the surrounding area. We have a surprising number of cheap Split holidays where quality of accommodation and service are not compromised by cost. Holidays in Split are a combination of fine Roman remains, great museums and galleries, superb shopping as well as sea and sand. The Diocletian Palace is the most visited attraction in Split. Here you can sip coffee or do your shopping surrounded by imposing columns with marble slabs beneath your feet. Holidays to Split appeal to a range of age groups as there is so much to see and do. The city is also a good base from which to explore the surrounding area including the off shore islands. Browse through our last minute Split holidays and you are sure to find one to suit your interests. Search now to find our latest Split holiday offers.